The start of a new year comes with some high expectations for kickstarter releases that i backed last year, especially the expansions for games i already enjoy. Too Many Bones – most of my gaming in January was two player and this game saw the majority of the play trying out core set characters against Nom and Drellen. What a delight this game is, tactile and strategic, and tough to beat. We still have barely scratched the surface of this game and returned in March to start a campaign. City of Kings – the arrival of the City of Kings expansions in January exceeded expectations with the player packs looking fantastic and having thicker card board for the characters too. This raised a desire for the older character boards to be redone this way. The miniatures were also better than i was expecting. 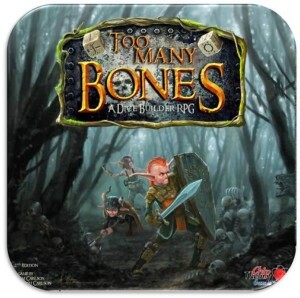 New story downloads are also available, as this game consolidates its place as a must own on my list. Lord of the Rings LCG – regular solo play so far this year, and i finally obtained the final packs from Angmar, Dread Realm and the Gencon Stone of Erech and Old Forest which were long awaited items. Also i have some newer expansion packs arriving in quarter one. This will remain my main solo game being played regularly this year, i cannot see much changing this. Darkest Night 2nd Edition– february saw us playing two player games, controlling two characters each, and it went really well as we took down the Necromancer, albeit on the easiest blight level. A great game with hero characters feeling really different, and players needing to work closely together to win. I have decided my enjoyment of this game allows me to release Eldritch Horror which similarly works co-operatively with a countdown doom tracker. Blackstone Fortress / Shadows over Hammerhal – Hammerhal was back on the painting table to finally finish off the acolytes and complete the set. 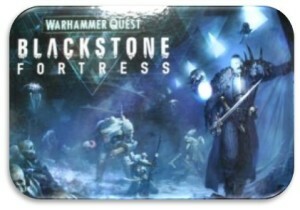 This is a long outstanding project which i am now determined to finished so that i can get started on the third in the series, Blackstone Fortress with the Ambull expansion the first painted item. Thunderstone Quest – saw a 3 player game in february which was great fun. I have always loved this deck building series, and new co-op content is coming soon which is very exciting. Gloomhaven– after a few months break, march saw the group return to the world of gloom, starting new characters and continuing the huge campaign. Back on the table it quickly returned to its status as the most popular group game we have. Nemesis– back for a group play session in April in a more friendly co-operative event where 3 players actually managed to survive and complete their objectives. Everyone was much kinder this time around. Vindication– proving to be popular with the game group this year as every game your objectives feels a little different. Also a slightly shorter game than many we play regularly. Recent game sales included Elder Sign, Spirit Island, King of Toyko and Eldritch Horror which funded Blackstone Fortress to carry on the Warhammer Quest trilogy into the 40,000 universe, and the soon to arrive twin boxes of Legends Untold. I have also decided to pledge on Cloudspire.